Pair with green salads, grilled fish or shellfish and crudités. 2012 Falernia Pedro Ximenez Reserva ($10) This flinty, citrus-inflected white comes from one of Chile’s northernmost wine regions, the arid Elqui Valley. 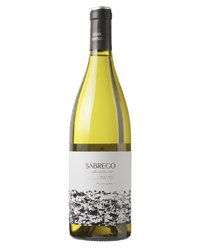 2012 Sábrego Godello ($14) The steep, rocky vineyards of northwest Spain’s remote Valdeorras region provide the grapes for this minerally white. 2011 St Hallett Poacher’s ($14) A touch of Riesling lifts the aromas of this zesty Australian Sauvignon Blanc–Sémillon blend from the Barossa. 2012 Terrazas de los Andes Reserva Torrontés ($15) Torrontés is a tricky grape. Made poorly, it’s cloying; made well, as this one is, it’s elegant and aromatic. 2012 St. Urbans-Hof Estate Riesling ($17) This German Riesling from the Mosel is very lightly off-dry, but it’s so zippy and intense that the sweetness barely registers.